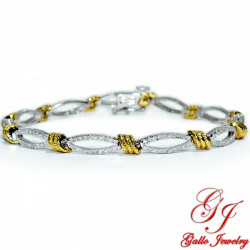 10kt White & Yellow gold diamond bracelet. 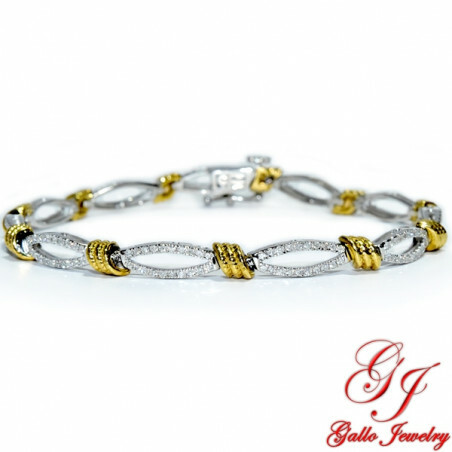 The bracelet has round brilliant cut diamonds set in a micro prong setting. 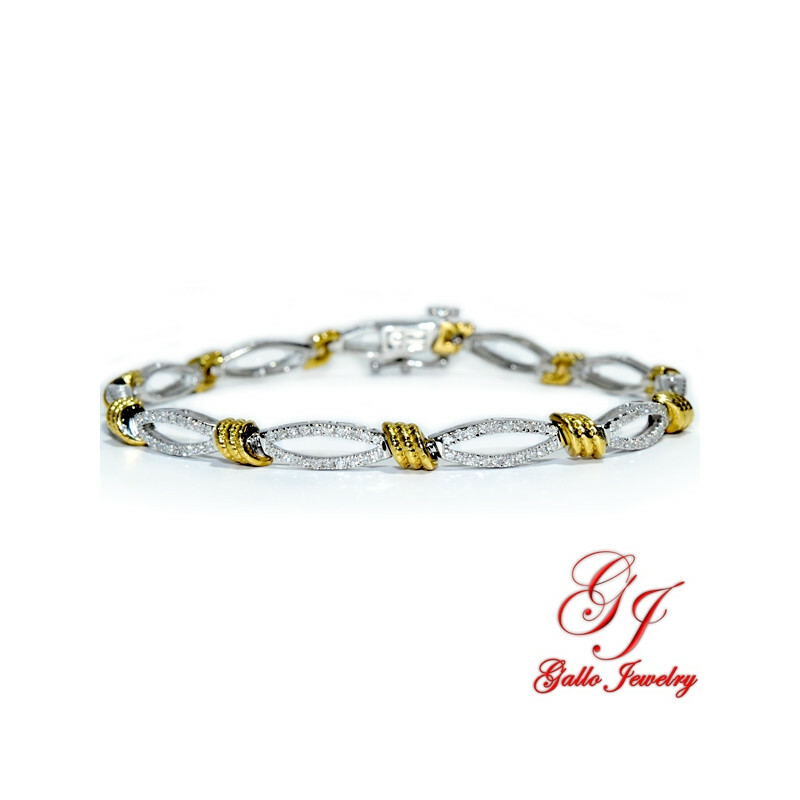 It is secured with a double clasp.